FRESH 11.2oz glass bottles Fritz Orangeade soda with SUGAR from Hamburg Germany!! 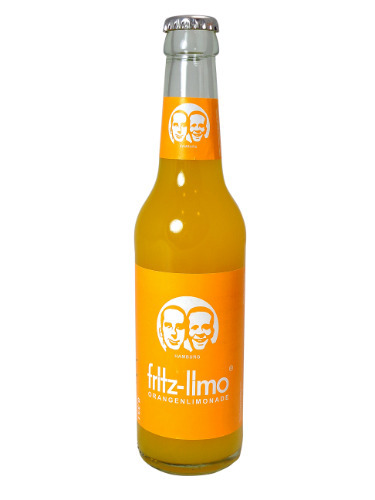 Fritz's formula for a fruity orangeade: 10.5% orange juice, enriched with 1.5% mandarin juice and 5% lemon juice. These are unbelievably tasty, high fruit content, no artificial coloring, only natural flavors and vegan friendly too.